My name is MaryAnn George. 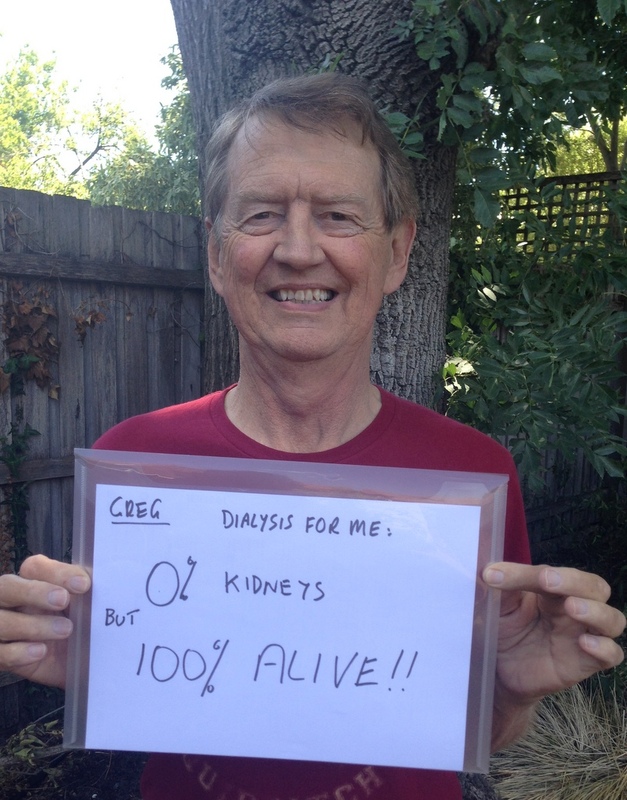 I’m a kidney patient who recently underwent a transplant. My husband Rajiv Mathew & I are making an educational documentary video for End stage renal patients. Broad overview of contents: Understanding Kidney Disease, Medication & Diet, Living with dialysis, Preparing for transplant : Finding a donor / Documentation , Transplant surgery, Aftercare & life after transplant. We have been through your BigDandMe blog and feel that your experience will be able to provide some valuable information to other patients going through similar situations. It would be great if you could record a 10 min video (can even be shot on HD Phone camera) of yourself speaking about your experience. You can speak either about any topics mentioned below or as you have mentioned in your blog – how to stay healthy, actions to take to win your life back or what’s happening in the world of dialysis and transplant. How do you know when your kidney gets worse / symptoms? How long will recovery take? When can I drive/ Get back to work? Please note, that this is a not for profit cause and aimed solely at helping other patients like ourselves. Kindly revert back if you are interested to be a part of this venture and I will share more details on the video specifications. I think that a big part of the dialysis experience is the dread of starting. And the big surprise is how well most people feel once they are established and are dialysing well. So that’s what will be the subject of my video, and I would like to have as many BigD-ers involved as possible. followed by a what the reality of dialysis is like for most of us. Under that, 2 to 4 words that describe how you feel now about being on dialysis: angry, accepting, reluctant, enthusiastic, faulty or fortunate; tell it as you see it. Don’t worry about making it a big production; as long as your message is readable. Please send your photo to greg.collette(at)gmail.com by 16 January 2015. I’m pretty sure that most of us, while we’re not euphoric about it, and would drop it if we could, still think dialysis is a pretty good deal: for a regular investment of our time, we get to live a reasonably healthy reasonably normal life. No matter what we write, I think that this will be our message of hope to all those around the world lining up for the BigD the first time. Posted on January 4, 2015 by dialyblog •	This entry was posted in Living the good life off and on dialysis, Videos. Bookmark the permalink. What s fantastic idea. This would be a fabulous medium to share with new patients. With Thirty plus years nursing in the dialysis field starting dialysis is a huge fear for most new starters. Sharing these experiences would go a long way to alleviate these fears. Get on board Big D’s. A great idea- look fwd to seeing the result- I am sure all involved will have 15 mins of fun as well as fame! !